Jeffrey Wang is a member of the firm's Management Committee. 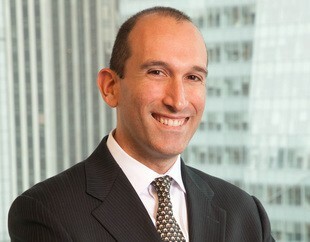 He represents major public and private companies in the financial services, real estate, and other industries as plaintiffs and defendants in complex business and financial disputes in federal and state courts and before FINRA and other arbitration bodies, including on appeal and in matters of first impression. His practice focuses on complex contractual, intellectual property, securities, insurance, and employment litigation and arbitration. Mr. Wang particularly excels in handling exceptionally challenging matters involving complex financial instruments or scientific evidence and expert testimony. Ongoing representation of the Tribune Company Litigation Trust and indenture trustees for Tribune’s pre-LBO bondholders in prosecuting claims for intentional and constructive fraudulent transfer, breach of fiduciary duty, aiding and abetting, and professional malpractice, among others, against Tribune's former shareholders and financial advisors arising out of Tribune’s 2007 leveraged buyout. Representation of Silverstein Properties in a series of insurance, contract, and tort disputes arising out of the collapse of the 7 World Trade Center building on September 11, 2001. This representation resulted in the successful resolution of all litigation following the collapse, including the grant of summary judgment in favor of defendants in a long-running suit by Con Edison concerning the design and construction of the building, which was affirmed by the Second Circuit Court of Appeals. Representation of a global investment bank in a FINRA arbitration addressing breach of contract, fraud, and other claims brought against the bank by former employees. Representation of CWCapital Asset Management LLC, in its capacity as special servicer for a CMBS trust, in defense of $200 million in claims brought by the owner of a Manhattan office building. Plaintiffs’ claims, including breach of contract and tortious interference, were dismissed from the bench following oral argument and the dismissal affirmed unanimously on appeal. Representation of an individual defendant in connection with a securities class action against a company of which he was previously CEO. The class action concerned a financial restatement that took place subsequent to our client's departure from the company. Representation of clients in connection with senior executive employment matters, including employment contracts and separation agreements and litigation and counseling related to these agreements. In one of the first cases to pursue claims against mortgage originators for breaches of representations and warranties, representation of a trust holding numerous commercial mortgages in an action against the financial institution that had sold defective loans into the trust. After a month-long bench trial in New York state court, the court found the defendants had breached representations and warranties concerning two loans. When the court then denied the trust any damages, Mr. Wang and the firm twice successfully appealed. The appellate court remanded the case for determination of damages. Following an extensive damages hearing before a Special Referee who identified substantial damages, the matter settled out of court. Representation of Amazon.com in several intellectual property actions, including obtaining dismissal on summary judgment of federal Lanham Act and state trademark infringement claims. Mr. Wang has also represented pro bono clients in contract cases, immigration appeals, and housing court disputes.